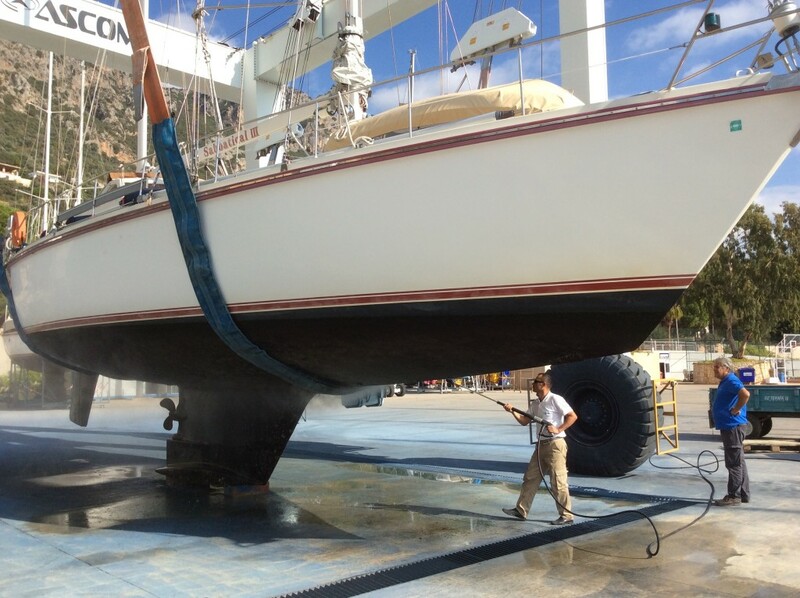 Laura watches the action as Sabbatical III is lifted out of the water. Where do dervishes come from? Delaware! 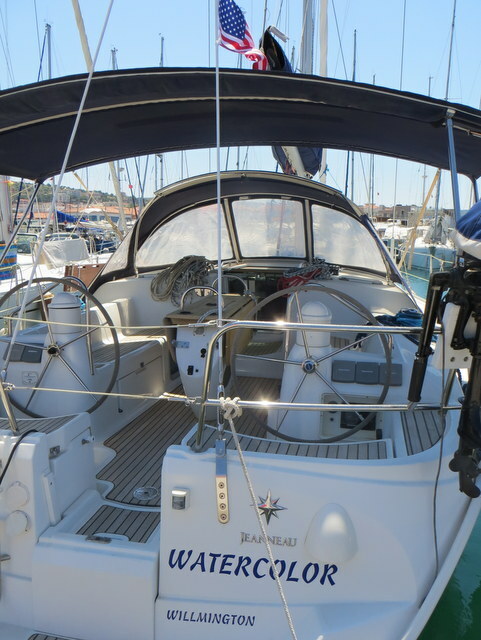 When we brought Sabbatical III into the marina in Marmaris after unloading her from the freighter, we were struck by how many of the boats were flying the American flag off of their stern – perhaps 10 to 20 percent of the boats in Yacht Marina. In the marina in Fethiye, at least one-third of the boats flew the Star and Stripes. And here in Cesme, three-quarters of the boats have Old Glory flying. But there do not seem to be any Americans around. Why is that? The first thing we noticed is that almost all of these US flagged vessels have Delaware as their home port, although some list “Delware” or “Deleware.” About half of the Delaware vessels also list their homeport city on their transoms and it is always Wilmington, although on occasion “Willmington” or “Wilmigton” or something similar is displayed. It must certainly be the case that there are more recreational vessels in Turkey listing Wilmington, DE (or sometimes “DL”) as their home port as there are boats in all of Delaware. Second, almost all of these vessels fly a small, cheaply printed toy version of the US flag rather than a beefier sewn version. These flags are commonly tattered. Third, none of the people on these Delaware flagged boats speak English. In Fethiye, it was either Russian or Turkish. In Cesme, it seems to be almost all Turkish. 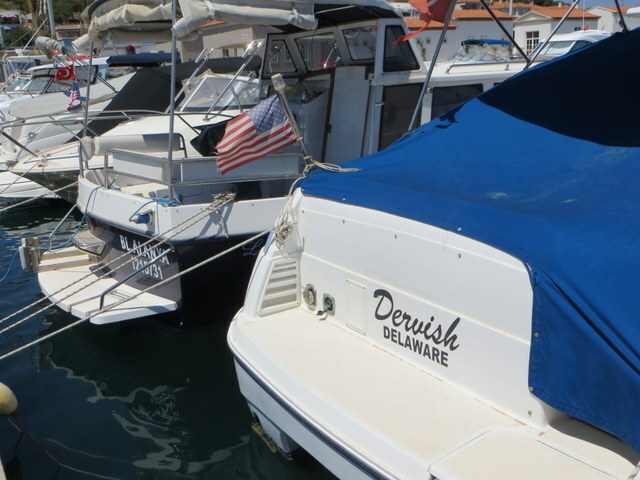 We have yet to meet anyone from the Blue Hen State in Turkey even though Delaware boats are in such abundance. 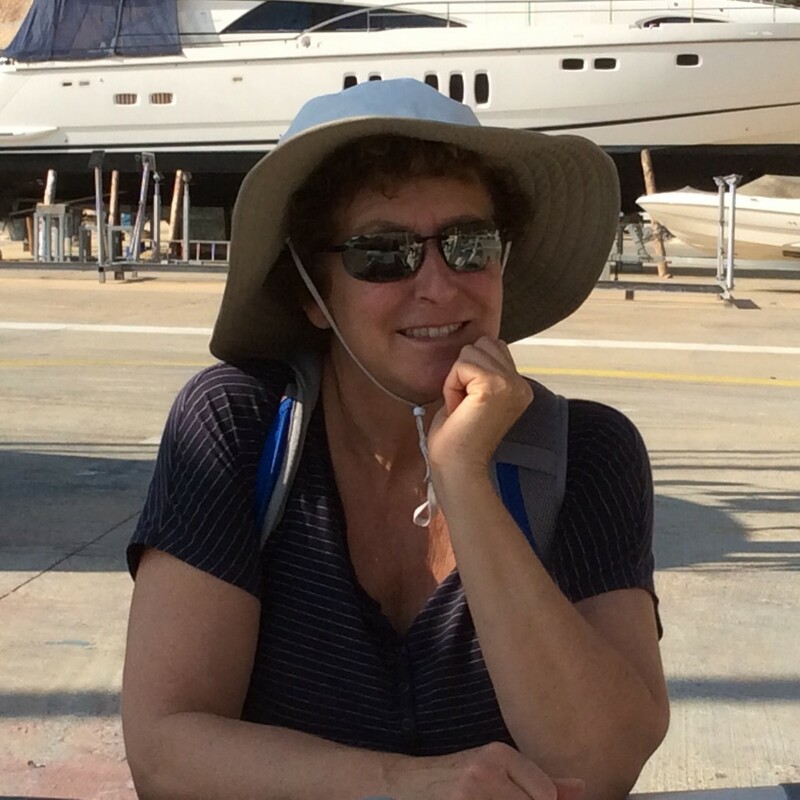 In the marina at Fethiye, the receptionist at the front desk is Russian, and as I waited in line to check out of the marina, I watched and listened as she assisted Russians check in a set of sail boats, all of which had US certificates of registration with homeports in Delaware. This is obviously a tax dodge. Delaware is an easy state in which to set up a corporation, and taxes on boats are apparently high in Turkey and Russia. That does not bother us. Our issue is what to do with our US flag? If we fly it off of our stern as we typically do, we are basically signaling that we are Turkish or Russian tax avoiders. Although this group of people may be very nice folk and this registration offshore via a dummy corporation may be perfectly legal, it is not how we think of ourselves. Of course if someone came up to the boat and read “Jamestown, RI” on our transom, or listened to us converse, they would realize that we might really be Americans. But more likely, they would only look at our beefy, sewn US flag and conclude that we are just non-American tax evaders without any subtlety. Here in Cesme, there are more US flags fluttering than in most 4th of July parades. So in Cesme at least, where the US flag can only mean Turkish owners, our US flag is off. We are the real deal and if anyone wants to find that out, they can just ask or look at the non-Delaware homeport written on our transom.